Don and I decided we would take an adult only winter vacation for the first time to enjoy some much needed fun in the sun. 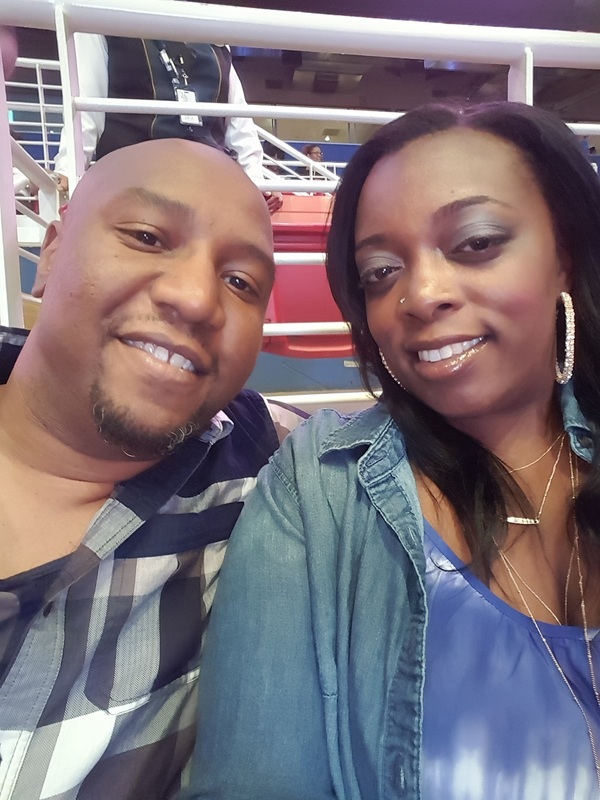 We vowed to leave our adult problems behind….work, bills, parenting, etc. Last year we missed our anniversary vacation for just the two of us. We will not do that again unless something extreme happens. We need that time away to reconnect and enjoy one another with no distractions. This year we selected Orlando, Florida (last year we selected Denver…see here). We’ve visited Orlando on several occasions and it’s always a good time. We wanted to go to Universal Studios and enjoy some kid friendly fun. We are big goofballs so it worked perfectly for the both of us. As usual we booked our hotel through Starwood Hotels. We get a discounted rate through Don’s mom. Why overspend when you can get a nice room for pretty cheap, $49 a night to be exact. We originally planned to wait until Valentine’s Day weekend but we were too inpatient. Plus we found some really cheap flights via Frontier that would allow us to fly much cheaper in late January. The flights for the two of us were just $350.80. This is our first time flying with Frontier and we were warned that it is not up to the standards of other airlines. We were totally prepared for it. The flight was 2 hours. For the price, I will gladly provide my own snacks. It didn’t turn out to be bad at all. The short flight really helped as there was no need to snack on the flight. The snacks on other airlines aren’t that great anyway. Please be careful when booking with Frontier because luggage is not included in the price. You are allowed one personal bag that must fit within the set dimensions. We checked one bag and both had a personal item that we used to fill with other items. We are deal finders and will not overpay to impress the next person. You can call us cheap but we have three more vacations scheduled this year. A few weeks before our trip, we ordered our character shirts online because we didn’t want to overpay once we arrived at Universal Studios. You have to get shirts that fit the theme of the park right? Well…we did. I ended up finding Don two shirts at Walmart that rang up for $1 a piece. I wanted to shout. I located us a few more shirt on Target.com. The prices we pretty cheap compared to the cost in Universal Studios stores. I am a planner which allows us to save money. We were up about 5am, showered, and had requested Uber. They arrived in no time and had us to the airport by 6:00am. This allowed us plenty of time to check in. We even had breakfast at Chili’s before boarding our flight. The plane ride was smooth. We pick up our bags and headed to pick up the rental car. I reserved our rental car in advance through Budget. I didn’t realize that everyone flying into Orlando would rent their vehicle from Budget as well. There were about 10 rental car companies but only Budget had an extremely long line. Other companies were trying to recruit from the Budget line on the premise of no wait time. It didn’t work because Budget had the lowest prices. We arrived at our hotel around 1:00pm. We checked in and changed because we planned to go to the beach. Cocoa Beach was a hour drive away. We made it through 3 to 4 tolls to arrive at the beautiful ocean. We located a parking spot near the beach that had already been paid for. Thank goodness for favor. We dipped our toes in the freezing water for just a second. It was a little too chilly for us. The temperature that day was between 62 – 67 degrees. We walked along the shore for about an hour, taking pictures and enjoying the view. We headed out to locate a spot to have dinner. We lucked up on a restaurant about 5 minutes from the beach. Sunset Waterfront Grill & Bar was located on the Banana River. The view was amazing. They actually had stiff drinks too. We are always shocked when a restaurant has good drinks. They are usually more juice than alcohol. We enjoyed the sunset while eating dinner. It was so beautiful. We were on the road and back to the hotel before long. Day 1 was amazing but we had many more days to enjoy. We slept in until about 9am. Don had located a place for us to have breakfast. Hash House a Go Go was right down the street from our hotel. We arrived at about 10am. There was a small crowd but we were seated right away. The waiter greeted us and gave us a rundown of their most popular menu items. We had no clue what we had just walked in to. This restaurant has been featured on Man v. Food and is famous for their chicken and waffles and sage fried chicken benedict. Don decided to try Chicken and Waffles and I went with Crab Cake Benedict. You should have seen the look on our faces when our food arrived. It was shocking. The portions were humongous. We could have shared a plate and still had left overs. The food was delicious. Not only was the food good the service was incredible. The manager stopped by our table and held casual conversation; they had a gentleman making balloon animals for the kids, and a photographer capturing families at this World Famous restaurant. It was a great experience and we had a whole meal leftover for later that day. I would highly recommend this restaurant. We were pretty stuffed so we headed back toward our hotel. We could see a miniature golf location from our hotel window. It was Congo River Golf. We played air hockey and enjoyed a round of miniature golf. The place had live gators that were all piled under the heat lamp. It was a chilly day in Orlando, about 60 degrees. It was still beautiful compared to back home. Afterwards we relaxed in the room knowing we would get out a little later. Whenever we visit Florida, I look for Bahama Breeze. That has always been one of my favorite restaurants. They closed the one in St. Louis many years ago. They kept a big crowd but somehow didn’t last. That evening we headed for Bahama Breeze. It was crowded as usual. We knew we were just having drinks because we had eaten the leftovers from breakfast that morning. We enjoyed one drink which neither one of us liked. We kept swapping drinks to help each other get through them. We don’t waste alcohol. We headed towards BackstageBillard IDrive, which was a pool hall Don had spotted on one of our ventures. He wanted to throw darts. When we arrived the dart boards were full so we decided to sit at the bar and have a few cocktails. Jenna, the bartender was wonderful. It was pretty busy and she worked the place all by herself. When she finally took our order, to our surprise the drinks were like one of our favorite spots back home, The Harlem Tap Room. We knew we would enjoy this place. The place had a mixed crowd, which is always nice for us. Don did his usual and took over the jukebox. We sat for a couple hours and headed to Giordano’s. We spotted Giordano’s Pizza on one of our drives. We didn’t know they were in Orlando. Chicago is usually where we have them. On the way there, we were flagged by the police. We thought our lives were over. The police officer was so nice and told Don his lights were not on. The rental car did not have automatic lights which we are used to. He let us go without a ticket. Whew. We quickly picked up our pizza and headed back to the hotel. We knew it would be raining in Orlando so this was a planned relax day. We laid around until about 2pm. We had lunch at Red Lobster and headed back to BackstageBillard IDrive to throw darts. It was earlier than the previous day so no one was throwing darts. We enjoyed a few games and sat the bar. The bartender wasn’t as good as Jenna. After a few drinks we left. This was an early night in for us. It was pretty cool; about 55 degrees. It turned out to be a much needed relax day. We usually don’t get many of these especially when we have the kids with us on vacation. It was really nice. We called down to the front desk to reserve a spot on the free shuttle. This was Universal Studios and Universal Island of Adventure Day. We were super excited. The shuttle arrived to pick us up around 10:00am. They had several stops to make before we arrived at the park. We were dropped off around 10:45am. We hadn’t been to Universal Studios before so we headed straight there. We rode the 3D Transformer ride which was pretty cool. We walked around looking for other rides. I took a picture with Dora and Diego. After not finding much else to do at Universal Studios, we hopped on the Harry Potter train to take us to Universal Island of Adventure. We knew what this park entailed after going a few years ago with the kids. We rode a few rides here mainly 3D ones; Harry Potter and Spiderman. We captured pictures with Thing 1, Thing 2, Cat and the Hat, Sam I am, and the Grinch. We were so happy that the park was not crowded at all. We waited about 15 minutes for each ride. After walking around for several hours, we headed over to City Walk for lunch. We decided on Margaritaville. The drinks were really good and the food was just ok. After lunch we went back to catch the parade. Before doing so, we saw the line for Shrek 4D had finally died down. The show was pretty cool but Don complained about them throwing water on us. It was really fun. We made it out just in time to secure a perfect spot for the parade. The parade unlike Disney’s was short and sweet. It was great to see all of the characters together. This was our cue; it was time to head out so we could avoid the crowd on the shuttle. We talked with several parents along the way that were there with their children. They all thought it was cool that we could enjoy it without our kids. Our kids have two trips to look forward to this year so they will get their fix. Once we arrived back at our hotel, we packed up our things because we flew out the next afternoon. With everything packed away, we headed back to BackstageBillard IDrive. Jenna, was back and she poured the drinks just perfectly. We enjoyed some music and reminisced about just how wonderful this vacation had been. We slept in because our flight was not scheduled to depart until 1:10pm. When we finally headed out we had to figure out how to return the rental car and get to where we needed to board our flight. The process was pretty seamless. We had time to pick up pizza at the airport before boarding the plane. The flight was a little longer heading back then going. Don’s cousin picked us up from the airport. We arrived home around 4pm. Two of the kids were already home. Jurnee arrived a little later. We had purchased them Disney shirts from a discount souvenir store down the street from our hotel. I told them to keep up with them so we could have them for our vacation to Disney in June. We picked up Chinese that evening and relaxed. Our vacation was a success. **We had an inquiry about the price of the Universal tickets. The tickets were $330.16. I have a serious issue trusting outlet sellers. After they charge their fees, you’ll end up spending close to the same amount and you don’t have to worry about the tickets being fraudulent. I usually go to the website of the park I’m visiting. They offer a discount rate if you purchase online. In this case, our hotel sold tickets to the park that matched the online price. We selected the one day park hopper that allowed us to visit both parks on the same day. There are other options such as one park only or 2 day passes that allow park hopping or 2 day passes that give you one park a day. We watched the weather close and realized we only had one day of sunny weather so we decided to do it all in one day.